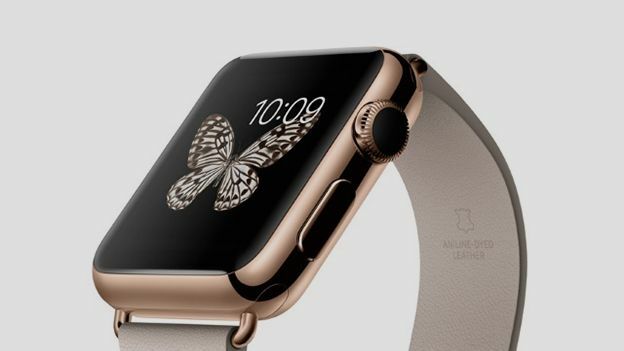 The 18-carat Apple Watch Edition will cost £13,500. That's a lot of money, so naturally you want to try before you buy. Apple is aware of this, and is making special arrangements for high-rollers in its Apple Stores. It will grant you half an hour with the Apple Watch Edition version of the timepiece. That's twice the 15-minute allowance of mere mortals who are considering the cheaper models. Apple hasn't announced this, but Apple Store employees at two locations in New York confirmed it to IB Times. Of course, after your half hour, there's no obligation to buy. You could just have a play with no intention of spending that much money. Apple will start booking appointments to try on the Apple Watch on April 10, the same day it starts pre-orders for the device. If you want to trick staff into thinking you have your eye on the pricier model, you'll have to be canny about it. You mark your favourite models through the Apple Store app or on the website. These preferences are stored with your Apple ID. Book an appointment to try out the watch, and staff will see which models you've expressed an interest in. Apple is said to be revamping its stores ahead of the Apple Watch launch, though it's not known exactly how. New display tables with glass cases are expected, as well as plenty of employees standing around to help relieve you of your cash. You might be able to walk in off the street and try one on, but it depends how busy the store is. The device goes on sale on April 24. Prices start at £299 and go up to £13,500. Who's winning in health and fitness?